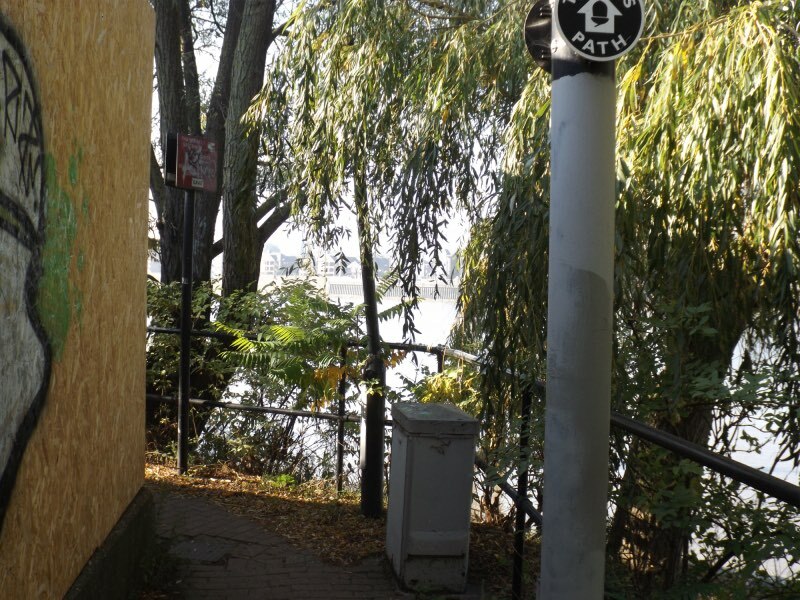 The river path in front of Trinity Hospital, on the east side of Greenwich, is due to close shortly. The river wall is being rebuilt which means that the path may not reopen until next August. An interesting background to the diversion and what to see can be found on Peter Kent’s RiverWatch Returns site. 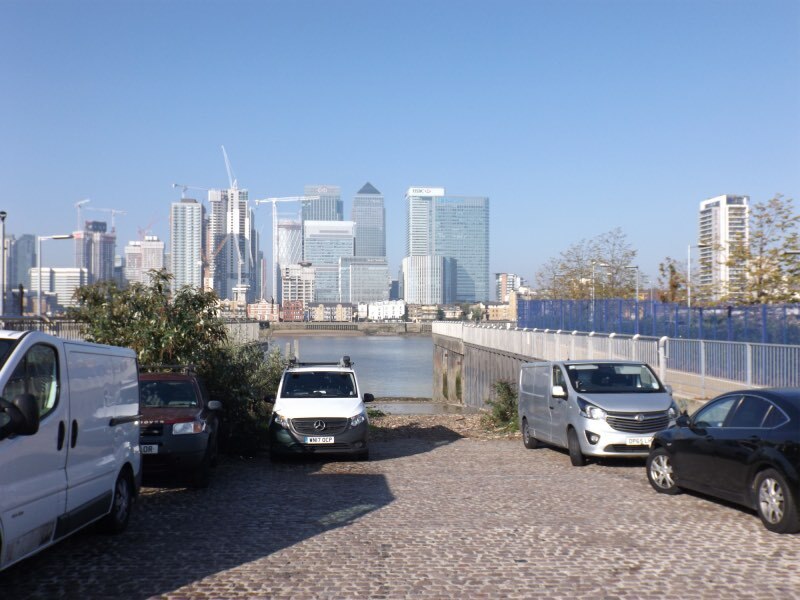 If walking from the Greenwich Peninsula (where the path has recently reopened) you reach Ballast Quay. Pass the Cutty Sark pub to walk across Anchor Iron Wharf where there is a large anchor. Before the power station go left into Hoskins Street. There is power station wall to the right and the road is partly surfaced with attractive stone setts. 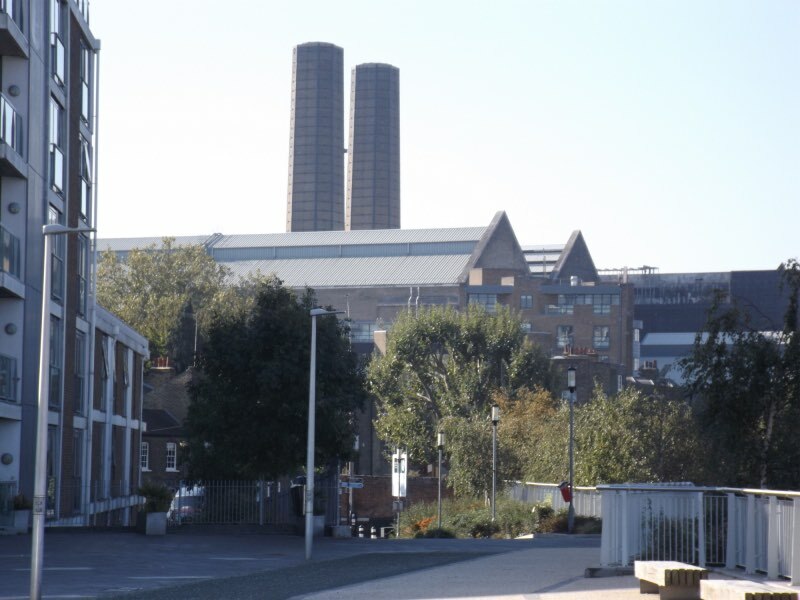 At junction turn right along Old Woolwich Road to pass the back of the London Transport power station and the modern entrance to Trinity Hospital. At another main junction go right into Eastney Street which runs direct to gates on to river. Go left along narrow Crane Street to Greenwich. “Through the Thames below my London flat last week slid a repellent sight,” writes Matthew Parris in The Times this morning. 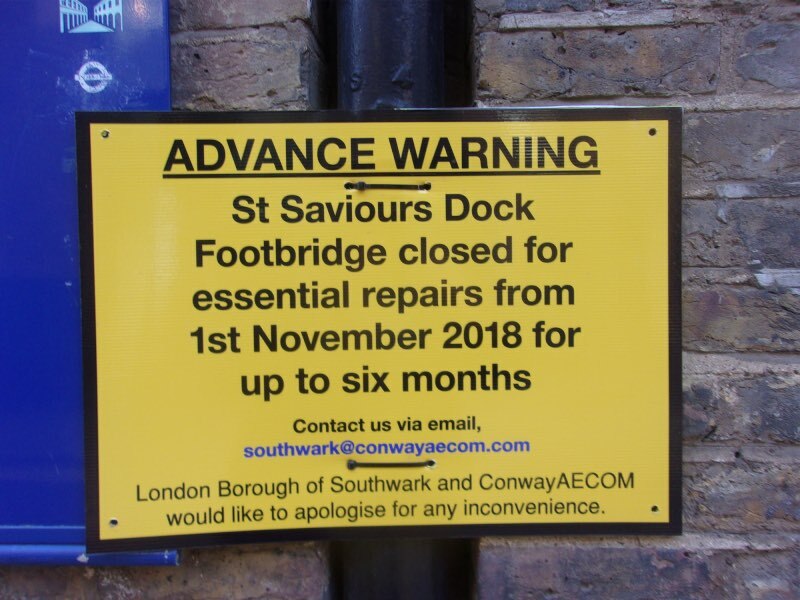 The St Saviour’s Dock footbridge is likely to be closed from Thursday 1 November. Closure was expected two weeks ago but the crossing has remained open. When the diversion comes into operation on or shortly after Thursday it will stay in place for up to six months. At the west end of Bermondsey Wall West, bear left to follow Mill Street past Vogan’s Mill to the main road. Holy Trinity Church Dockhead is to the left. Go right past the Co-op to have a good view (right) down St Saviour’s Dock. Go right again to enter Shad Thames which into the late 20th century was noted for a strong smell of spices. 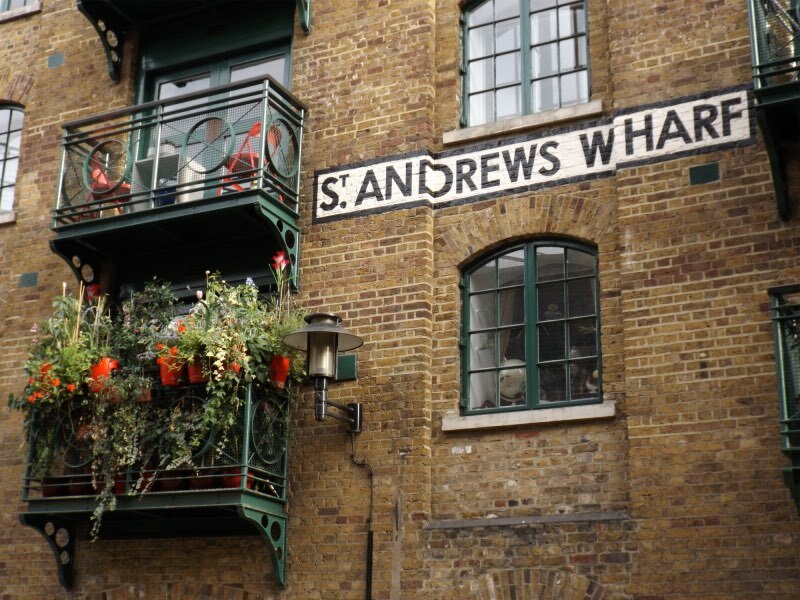 Here are Jamaica Wharf, St Andrew’s Wharf and Java Wharf. At the far end the road bears round to the left past Tea Trade Wharf (right) and under a bridge (the old Design Museum) to a junction. Turn right up steps for the River Thames and rejoin the main route on Butler’s Wharf. Go left towards Tower Bridge. The path from North Greenwich to Greenwich is back alongside the Thames. 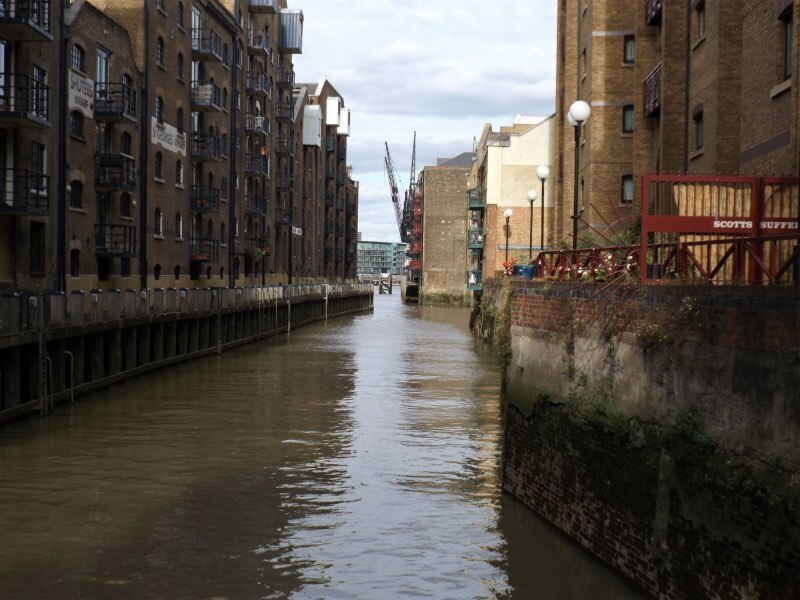 Walkers, having passed the O2 (Millennium Dome) and crossed Drawdock Road as it enters the water, can now stay alongside the river with only one brief natural break all the way to Greenwich. 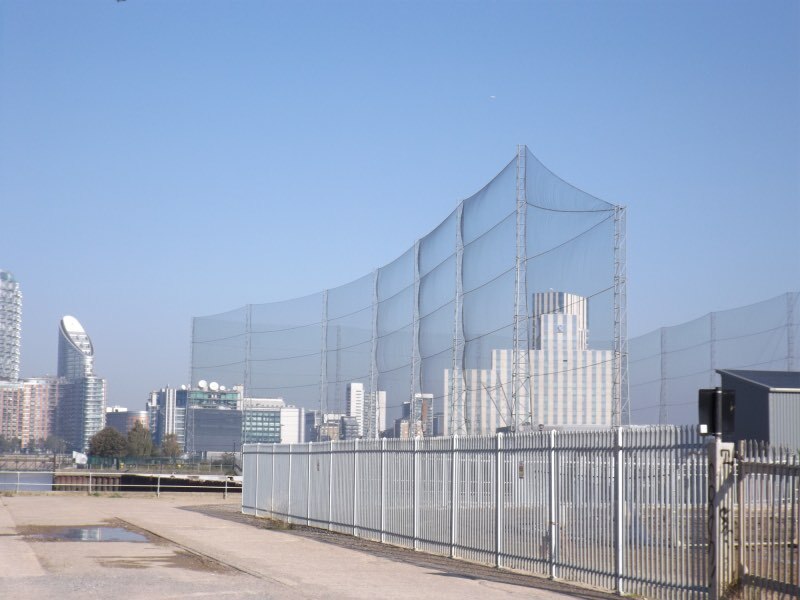 This month sees the end to a long period of changing closures on the west side of the Greenwich peninsula caused by redevelopment. Work has not ended but disruption should now be occasional whilst the path is ‘improved’. Sadly this means widening the Thames Path for cyclists with the loss of wild flowers and possibly trees. 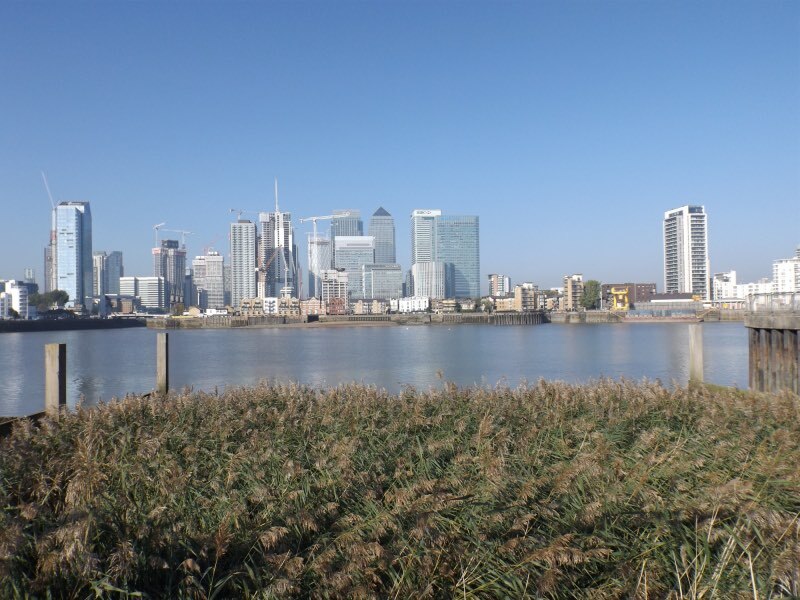 The only major disruption in future years will be on Enderby Wharf if its conversion to the London City Cruise Port goes ahead despite many objections. Meanwhile, Young’s is about to reopen historic Enderby House as a pub. It was built in the early 19th century by the Enderby brothers when they set up a rope walk. In 1846 General Gordon spent his last night in England at the riverside building. It is to be hoped that interior decorations will reflect Enderby’s whaling and submarine cable history. After Drawdock Road the path is wide on Delta Wharf before a double bend takes it across Victoria Deep Water Terminal. This is still a working wharf but the delightful tunnels to protect walkers have been removed. Afterwards the path makes a now rare inland detour to go round the back of Bay Wharf which has again become a ship repair yard. 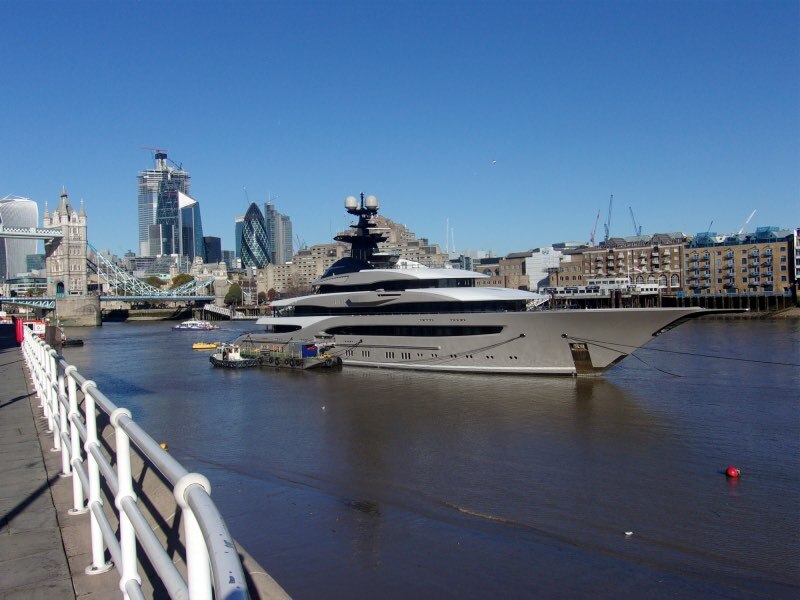 This recently relocated a few yards upstream from Enderby Wharf. Behind Bay Wharf there is no longer the unpleasant detour via a busy inland road. 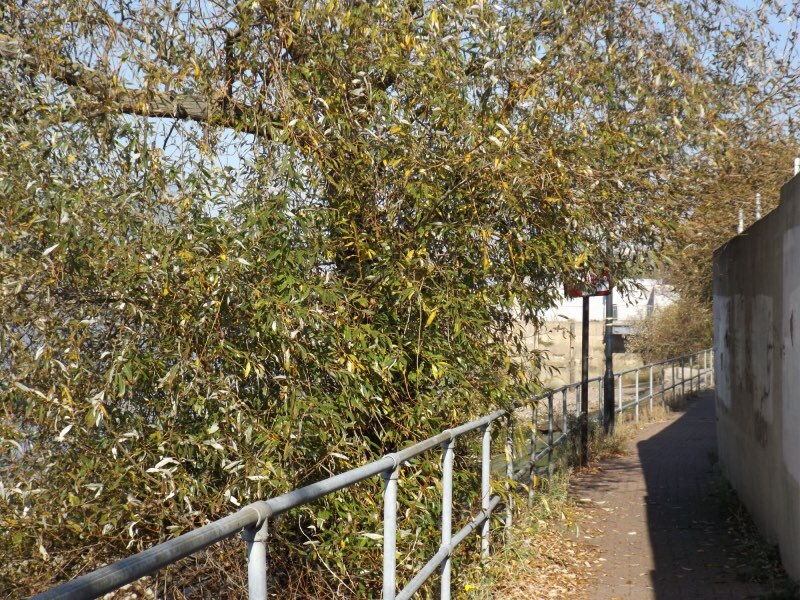 Instead one again is now able to immediately return to the water and follow a delightful path under willows along Morden Wharf. This path gives way to a new wide dual cycle/pedestrian path outside Enderby House. 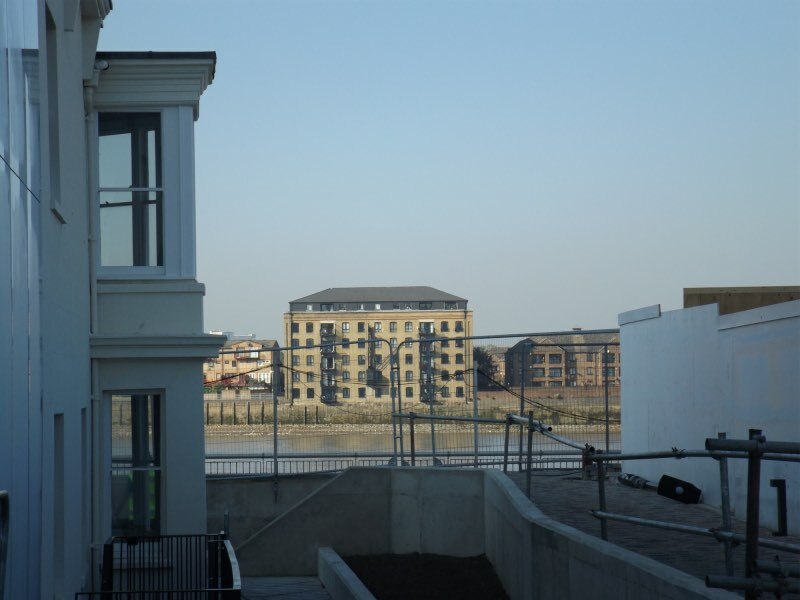 From here there are new flats as far as Union Wharf and Ballast Quay. After this the path passes the power station and the 17th-century Trinity Hospital to reach the Trafalgar Tavern in Greenwich. There is a diversion around St Saviour’s Dock near Tower Bridge from Monday 15 October. 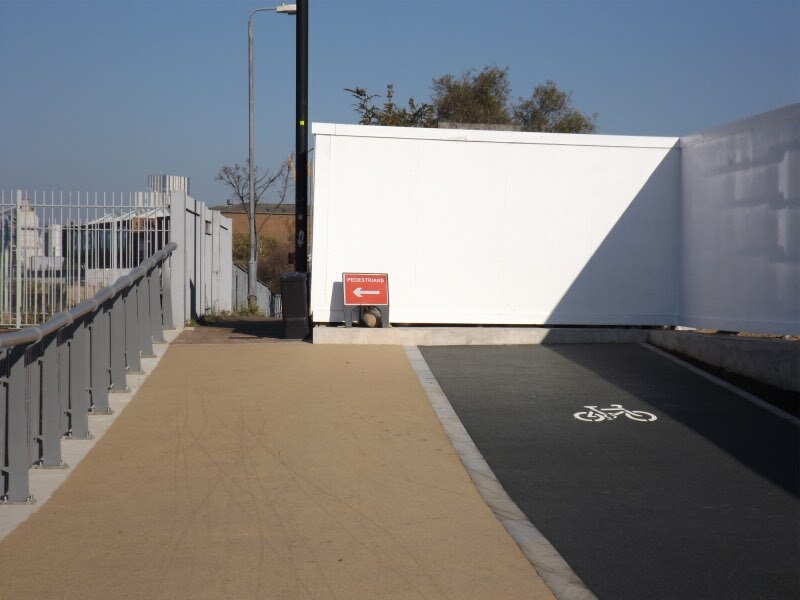 The half a mile temporary route will enable work to take place on the dock footbridge which since 1995 has carried the riverside path over the inlet entrance. This is also the mouth of the River Neckinger. 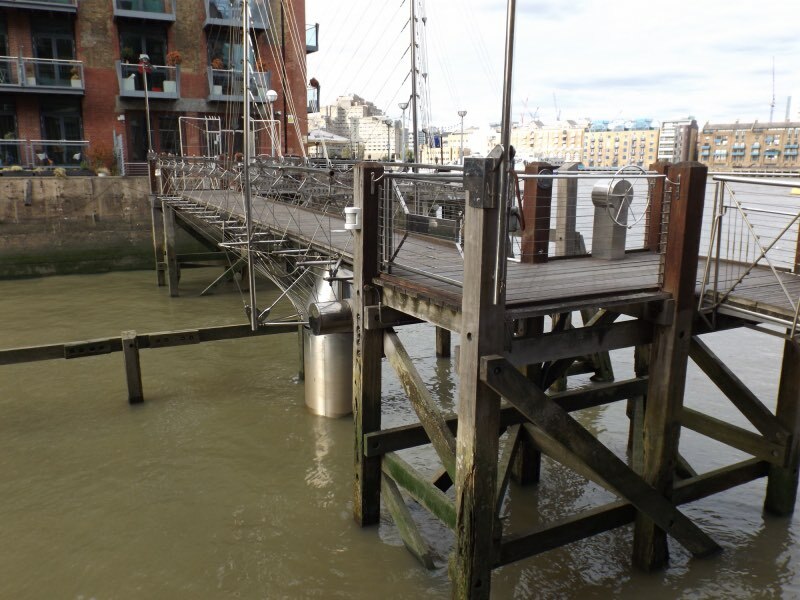 The swing bridge, designed by Nicholas Lacey whilst living at adjacent Reeds Wharf, has been in a fixed position for some time and now needs refurbishment. 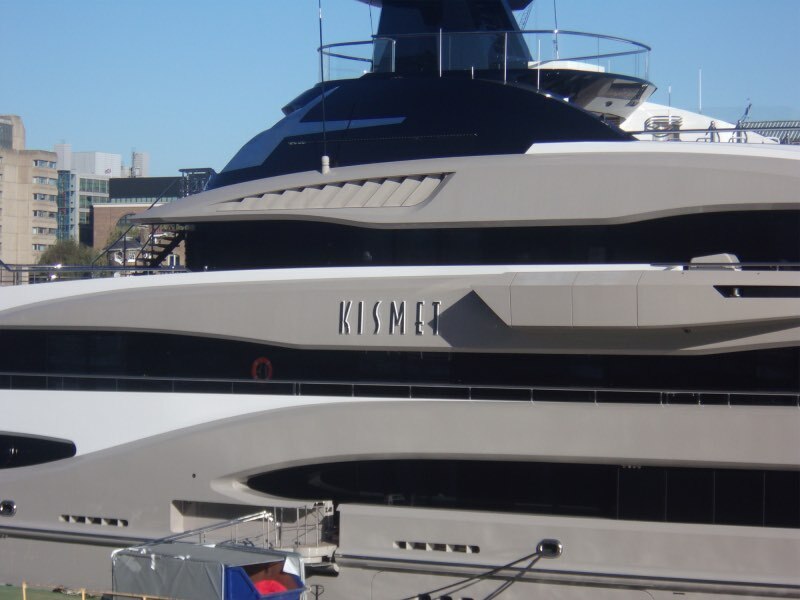 After the work is completed it will again be able to allow large vessels to enter the dock. 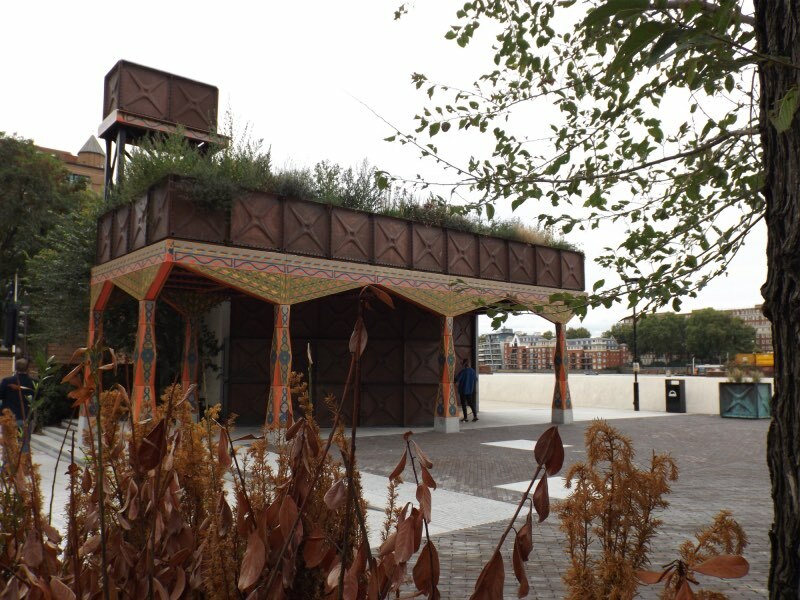 A surprise at Nine Elms is not just the new American Embassy but a new Thames Walk Pavilion featuring a raised garden. Elm Quay has had a representation of Old Father Thames for thirty years. Now the big attraction is immediately downstream on Bourne Valley Wharf where the water tank pavilion, designed by the architects of Studio Weave and commissioned by Wandsworth Council, stands. It is intended as a home for wildlife as well as a resting point for walkers. The garden is reached by stairs but the doors are not always open. 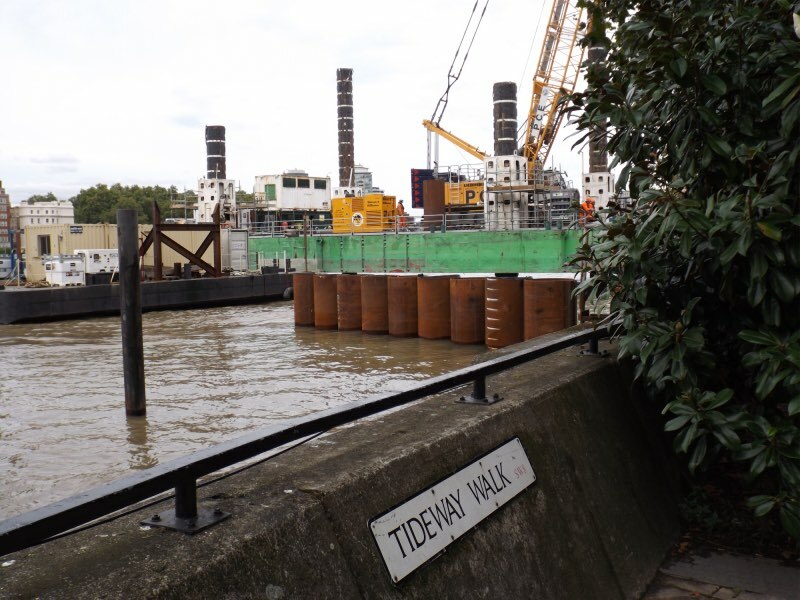 Upstream, beyond Elm Quay and Prescot Wharf, the Thames Tideway project is providing for the riverside path to pass infant of Heathwall Pumping Station and join Tideway Walk at the dock next to Nine Elms Pier. So no more returning to the road opposite Waitrose from about 2022. 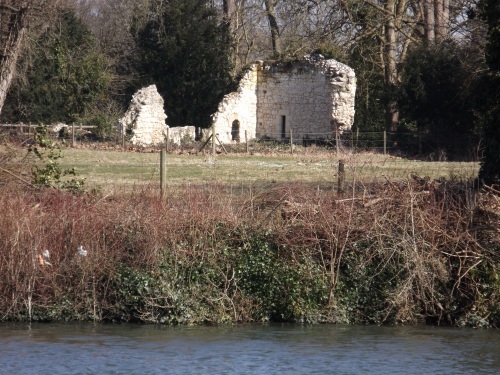 A ferry is to be established at Runnymede to link the famous Magna Carta meadow with less well-known Ankerwycke Priory ruins on the left bank of the River Thames. A £1.6 million award from the National Lottery for the National Trust will also fund an improved Thames towpath alongside Runnymede. 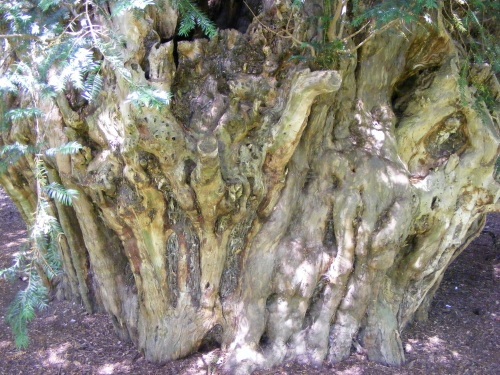 The priory grounds include the 2,500 year old Ankerwycke Yew under which is it claimed by some historians that Magna Carta was agreed in 1215. The Magna Carta agreement between King John and the barons was achieved on 15 June 1215. Did they meet under the tree before crossing the water together for the sealing of the document with wax and a formal embrace between the monarch and Archbishop of Canterbury Stephen Langton on Runnymede? The King had travelled by river from Windsor. The barons, having camped on the west side of Staines, are thought to have arrived at Ankerwycke Priory early in the morning to be welcomed by the prioress and other Benedictine nuns. During the century Shepperton Ferry operator George Dunton ran a cafe at his boatyard on the left bank. So it is good to learn that the present operator Nauticalia has opened a cafe on the same boatyard site. 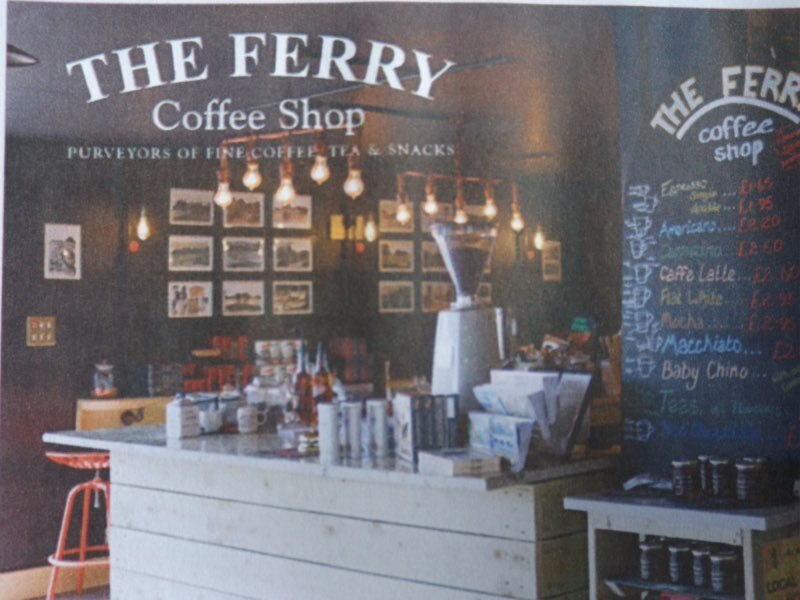 The riverside coffee shop on the towpath serves tea, coffee and snacks from 9am to 5pm (Sundays open from 10am). A handy refreshment and toilet stop between Hampton court and Staines is good news. Parliament is about to rise for the summer recess without having held its regatta. The All-Party Parliamentary Rowing Group says that the Parliamentary Charity Regatta is postponed until further notice due to the Super Sewer. Lack’s Drawdock on Albert Embankment near the Palace of Westminster is closed for Thames Tideway Tunnel, or Super Sewer, works and will not be available until at least 2024. 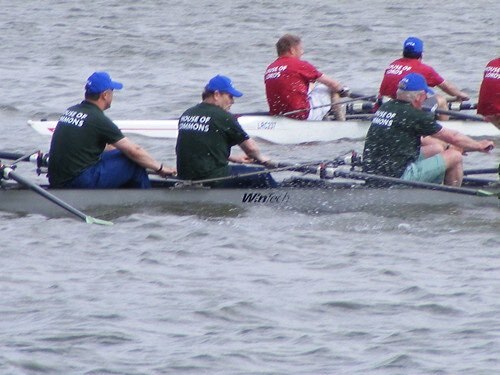 The main race is the competition between eight MPs and eight peers rowing downstream from Lambeth Bridge to Vauxhall Bridge. The finishing line is between the Lords and Commons marquees on the terrace where a FINISH banner is placed. Visiting crews from London Youth Rowing and a men and women’s senior race give show performances over a slightly longer course and are in return entertained to tea on the terrace afterwards. The annual tradition dates from 1986. Musician Virginia Astley has revealed her other passion in a new book The English River: A journey down the Thames in poems & photographs. The poetry and the pictures are Virginia’s. Her home reach with family memories is Cleeve but for the book she has walked the river. The photographs are a delight as she visits the Thames out of season. How many of us have seen Inglesham Church in the snow or crossed the Cricklade meadows when the fritillaries are out? She goes from Docklands to Source on days which are wet, sunny or even dull. 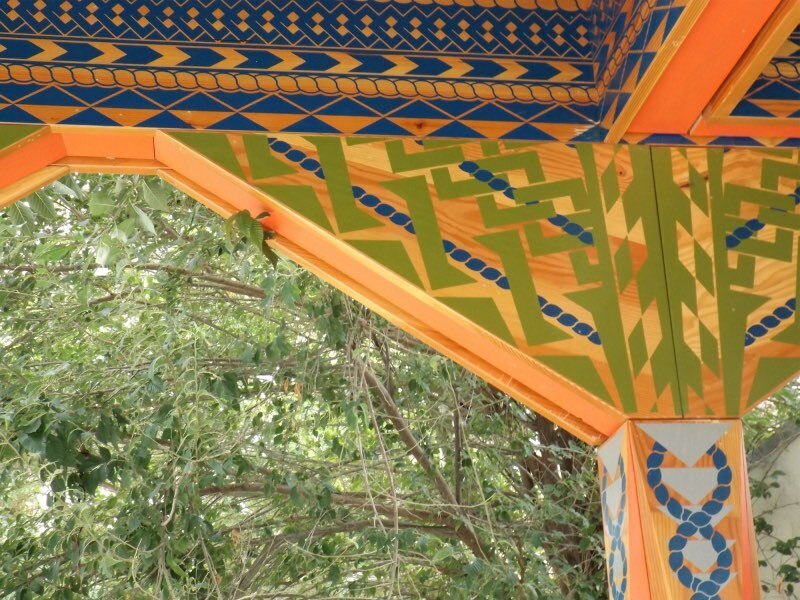 It is good to see a neglected Conservancy gate highlighted as few survive. Virginia likes places alongside the path such as Kelmscott Manor: I shed my shoes, feel the chill of flagstones. The Foreword is by her relative Pete Townshend of The Who. 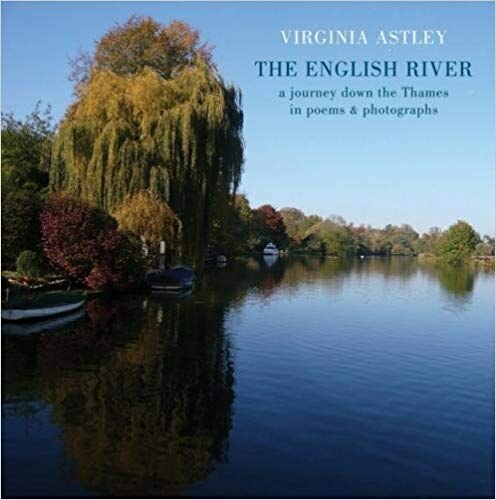 The English River: A journey down the Thames in poems & photographs by Virginia Astley (Bloodaxe £12).